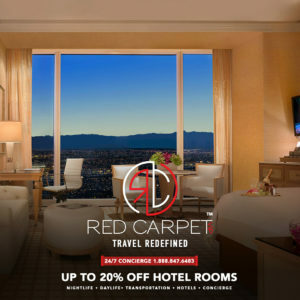 Thank you for choosing Red Carpet VIP for all hotels in Las Vegas ! We are able to provide the best rates on rooms and suites. Once we receive your request we will be able to further assist you with the best possible offers. If you already booked your room, we are happy to see if we can beat your current rate. Thank you and we look forward to hearing back from you!